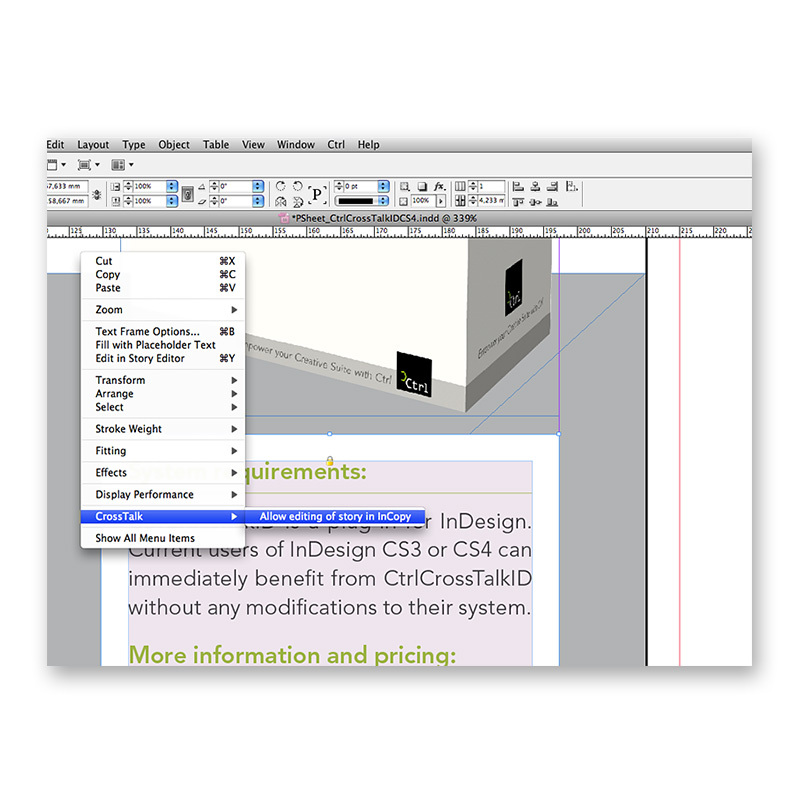 Using CtrlCrossTalkID for InDesign, art directors and copywriters can work on the same document, the copywriter works in Adobe InCopy, a specialized text editor, while the art director works in Adobe InDesign with full control of the document and its layout. 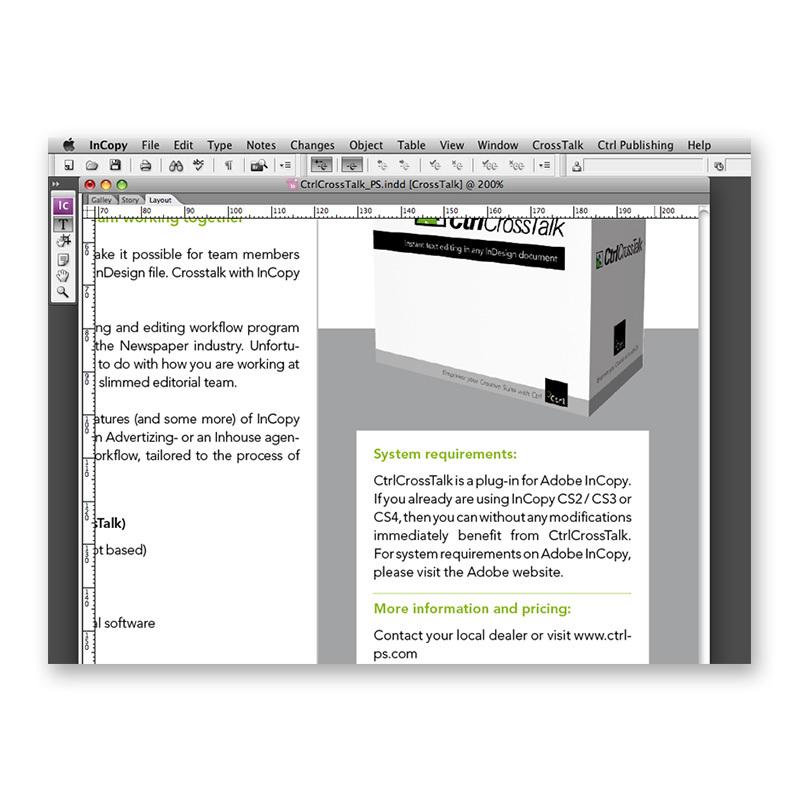 With CtrlCrossTalk, all the advanced text editing features (and more) of InCopy are available for professionals working in an advertising or an in-house agency. 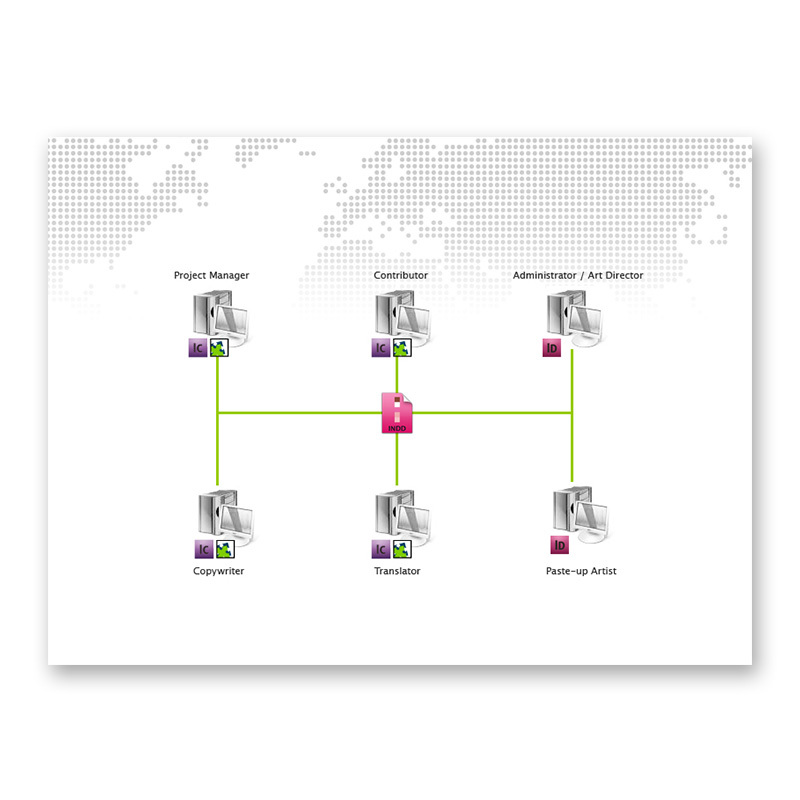 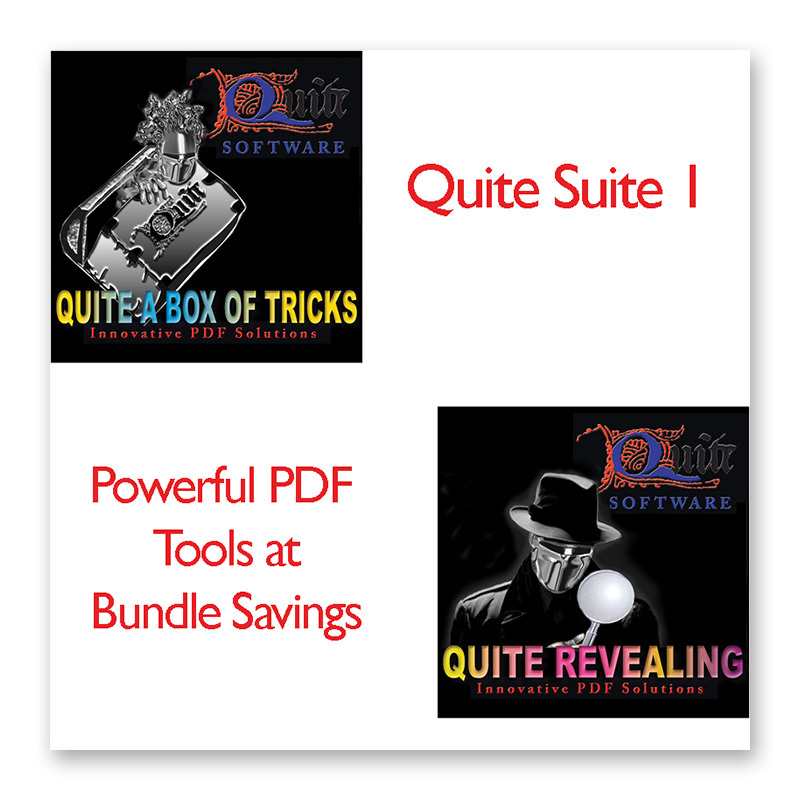 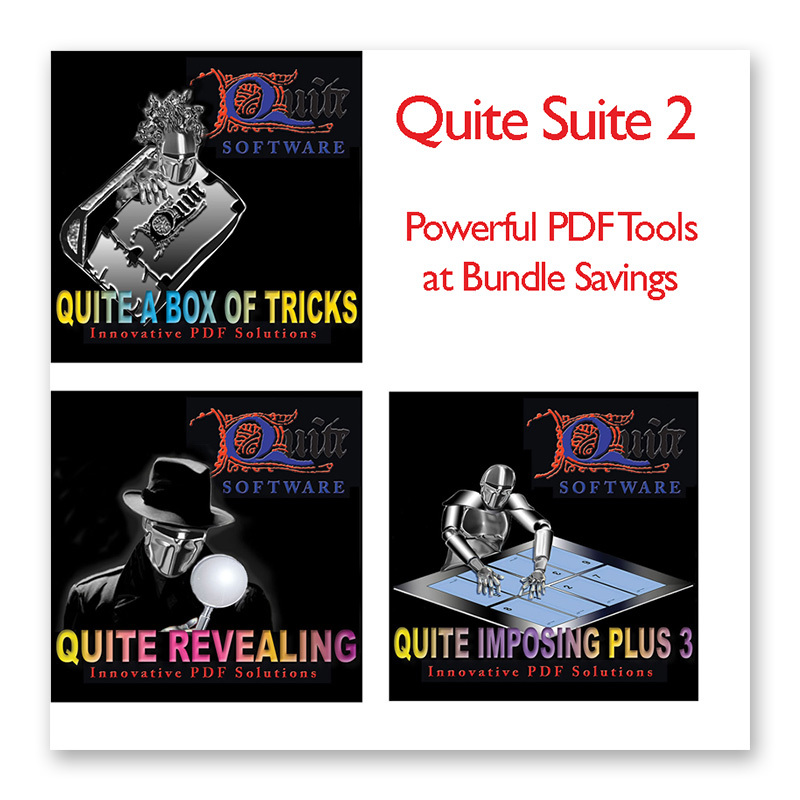 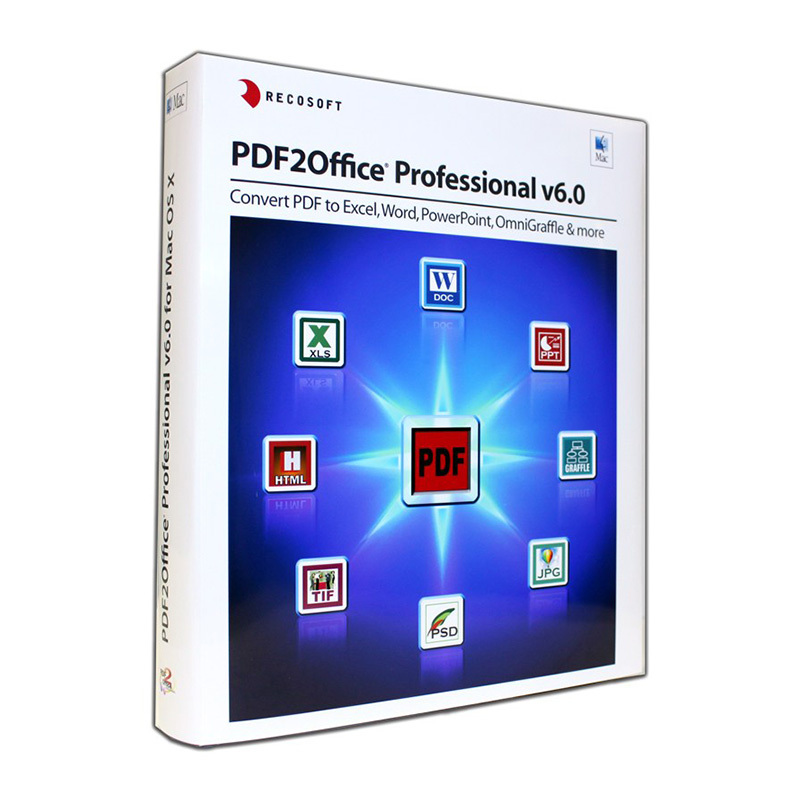 Thereby simplifying and refining the workflow, tailored to the processes of producing brochures, ads or catalogs.